Mark your calendars and dig out your best workout gear, because Beijing Health Week (BHW) is back again for 2017, this time running from September 17-23. Organized by Juice by Melissa, BHW brings together some of Beijing’s top health and fitness brands for a week of events focused on supporting your body, health, and mind. The exact schedule of events and partnerships is still being confirmed, but previous BHW partners have included Yoga Yard, Crossfit Slash, GuavaPass, Gu Cycle, Ms. Uptown, Zamani Collection, and Glo Kitchen + Fitness. This marks the third time that Juice by Melissa has organized BHW, after first launching the concept in May 2016. 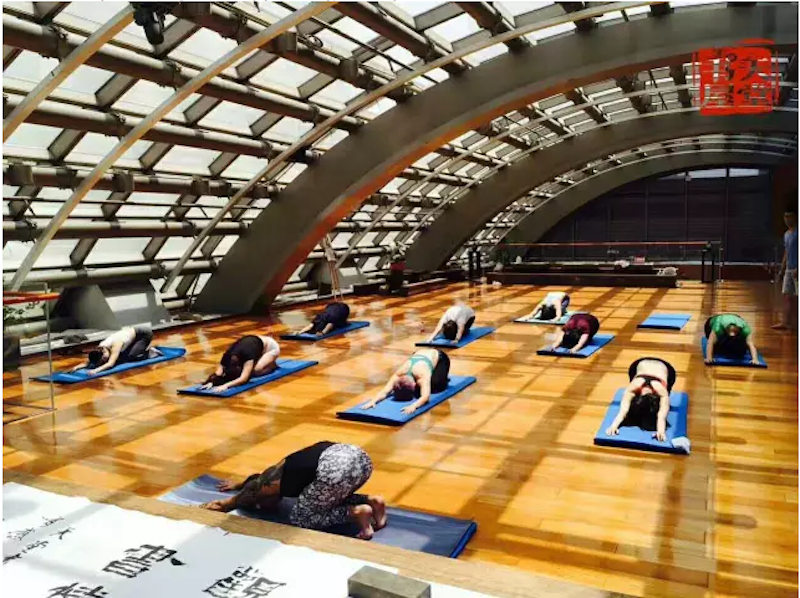 2017 Fall BHW kicks off with a charity yoga seminar and healthy lunch provided by Juice by Melissa at the Paradise Lounge at Park Hyatt Beijing from 11am-2pm on September 17. Paradise Lounge is an international life and health management center located on the 6th floor of the Beijing CBD’s landmark Yintai Center. BHW isn’t just about feeling healthy; it’s about giving back to the community, too. This year, all profits from BHW will be donated to the Global Environmental Institute (GEI), a Chinese non-profit, non-governmental organization that aims to design and implement market-based models for solving environmental problems in order to achieve development that is economically, ecologically, and socially sustainable. The proceeds of BHW activities will go directly toward GEI projects in China’s western Qinghai Province, where they are working with local communities to protect the local environment and help them improve their health and livelihoods. Among other efforts, the funds will support locals as they help monitor the precious plateau and grassland and buy materials for a sustainable handicraft cooperative, which raises income for the community’s development. Look for more details about events and booking information on the blog soon, or stay up to date with Juice by Melissa on WeChat (juice-by-melissa).